For a long time I thought, "Its just me, my load order has something wrong." Its effecting everyone that uses Skyrim Immersive Creatures. 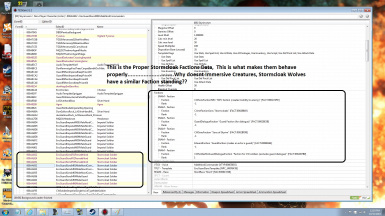 Ever wonder why the Stormcloak Wolves suicide on your Dragonborn? Well don't wonder about it anymore, in fact it was all a secret plot to turn the Dragonborn against the rightful rulers of Skyrim, that's right Thalmor Agents used Illusion magics on Stormcloak Wolves to get bereeved soldiers to cry "U killed mah dog, now I kill U!" 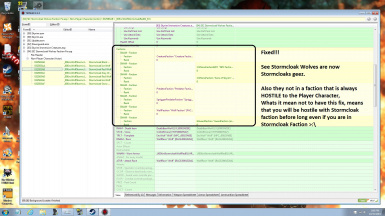 All joking aside without this mod you will be at war with Stormcloaks very soon when using SIC, Skyrim Immersive Creatures. Load this after SIC, or merge it into SIC. I don't know if this requires a new game but if you happen to have seen a patrol and didn't get close enough to set off the wolf you might want to console kill the wolf and then you should be good as all Stormcloak Wolves before you load the fix should have the old faction data saved into their AI until they die or despawn. 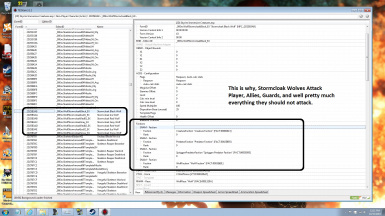 New wolves after this modification will be in the Stormcloak faction and not a member of the Wolves Faction.